fake nails didn't even compare to the men landing on the moon. Our excitement was more with those nails. Over the years Sally and I moved apart. Her husband had a traveling job which took him all around the world. The good things about this for Sally was so many different experiences in so many different countries. We caught up with each other few months back on facebook. The conversation that I had with her was almost three hours long. Reminiscing about the fun and how great it would be if we could get together again. As we were talking the conversation went to our tea parties. What a memory. She sent me pictures of her new solar nails she says all through her life on a daily basis she had been addicted to the beauty and the manicuring of her nails. What Sally doesn't know and I didn't lead into it is that I had been working as a manicurist for the last ten years. My specialty at the shop is airbrush nails it was tough for me to hold back from telling her but I did because later on this year Sally will be flying in to San Francisco for a short visit with her sister. I talked to her sister and she is going to tell me when Sally is going to be there that way I can fly from Cold New York to the beaches of California to have a long awaited reunion with my closest friend. Saying goodbye after many many years of banking at HSBC. Our self, we have always good luck with them. After reading the package that came from First Niagra Bank who is doing the takeover we decided that there was a few things we didn't like about their policies. So we shop around for a new bank and decided to go with Bank of America hopefully nobody buys Bank of America. Talking about extreme renovations. My husband tells me stories of the place he worked on last year. The extreme renovations included raising the whole ceiling system to ten foot heights in the downstairs of this old house. And of course the ceilings of the downstairs are the floors of the upstairs. 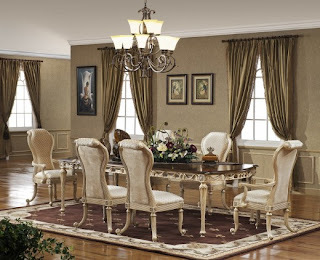 After doing all this work they installed fancy crown molding and of course solid oak with bevelled glass in it pocket doors to divide the living room from the dining room. All old windows were also removed increasing the height of the new ones by sixteen inches. A lot of work went on but it was something that my husband had used to and enjoyed the situation. The full upstairs of this house in case you're wondering all the ceilings were torn out and vaulted ceilings were installed. My husband couldn't believe the beauty of the Thomasville furniture the lady had picked out for her new house. But then again take a look at the class of lady that she is and you would understand. Trying to spiff up the looks of our 2004 Polaris predator, my husband ordered a new seat cover of orange and black. 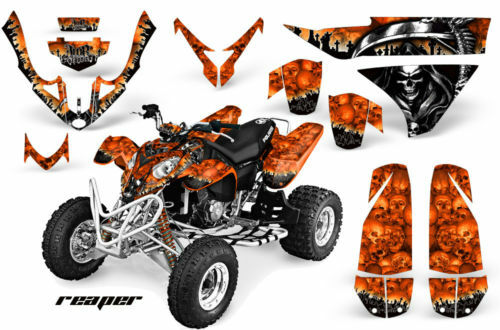 The reason for changing the color is that my husband changed the graphics on the four wheeler to orange and black over silver. 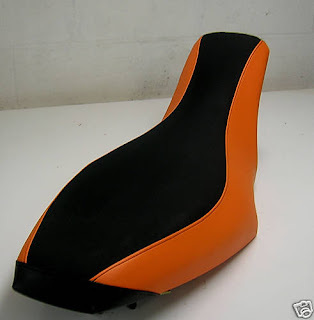 So you can about imagine the color clash with the red seat. Originally living half of world apart from my boyfriend/fiance it was a lot of fun getting to know him online at first and then in person second. Kind of reverse from your everyday getting to know someone. The only problem is that typing on a keyboard sometimes leads to the wrong impression. Words maybe taken in many different content. But I always tried to see the positive of it and I was right. On each month I wanted to find online a unique anniversary gifts for boyfriend . Every time I found something I started to search all over again because of the two week shipping sometimes to him. I had to purchase in a very short time. Flipping through the channels this weekend we had to stop and watch Ripley's Believe It or Not. From duplicating your complete body out of chocolate like an Easter bunny look alike, to digital implants for holding all your vital statistics, along with any information including how many different drugs you're on. The stories went on and on not to mention the guy that sleeps next to his totally chilled out dead wife. You just never know what you'll find on this show.